There are seven bullaun stones on the island. We did not have time to go searching for them all, but came across these two while walking from St Caimin's Church to St Brigid's Church. One is a large boulder with a single bullaun, pictured left, and the other is an earth fast boulder, it too has a single bullaun, see image below. Bullaun stones have come to be associated with Early Christian sites, but some are much earlier than that period. 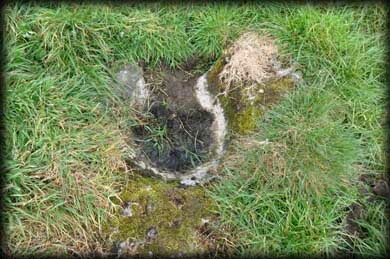 There is evidence that Holy Island was inhabited before the Christian era. 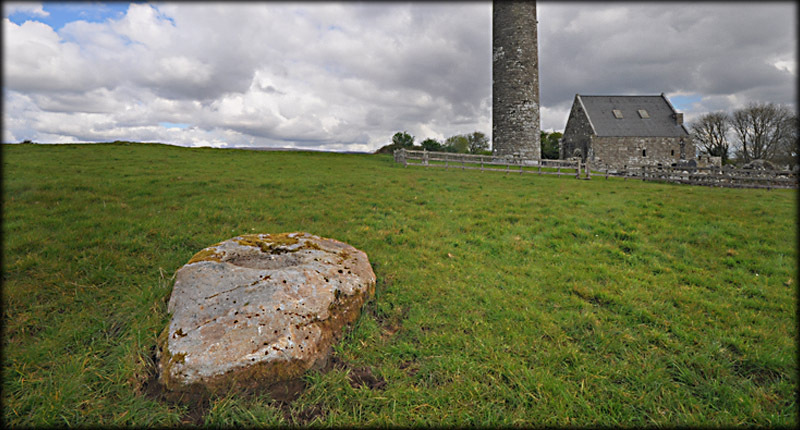 Situated: These two bullaun stones are about 25 metres south west of St Caimin's Church. Discovery Map 58: R 6981 8501. Last visit April 2012.